The flight on Norwegian airlines was pretty standard. The turbulence was handled well and we landed on time. On arriving we had to an icy walk to the arrivals.They don’t put salt on the pavement so it was slippery however we had the right shoes. Our package included a fly buss to our hotel. We arrived just after 1030am on a Monday and there was no one around to give out information. There was a little sign outside to say the next flybuss was at 1130 so we waited around. Nordic experience said the buses were frequent but this wasn’t the case. No one helps with the luggage on the bus and you have to try and fit the bags in the storage compartments. The bus journey is short to the city. We were staying at Clarion Hotel With which is part of the Clarion Collection group all close by. We were told by the driver to get off at the last stop which was Scandic hotel. This is where Radison is too. Having read a few reviews there were mixed messages on how long the walk was. It was less than 5 minutes. We had two suitcases with us and when we got off we could see the hotel. The pavements were icy and not gritted well (the locals wear shoes accordingly so they don’t need to worry). The hotel was clean and the staff were welcoming. We managed to check in early. 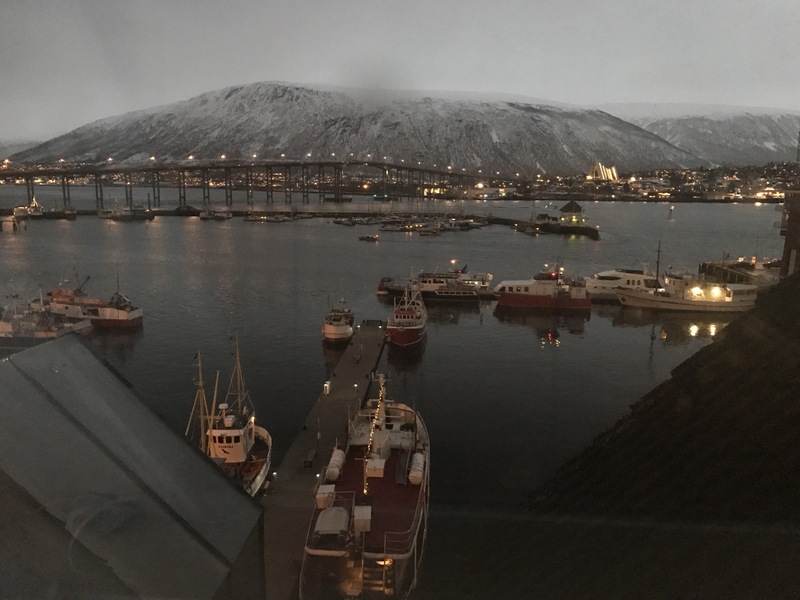 We were offered an upgrade for an extra 100NOK but declined as the weather wasn’t great and there was no point having a harbour view room. 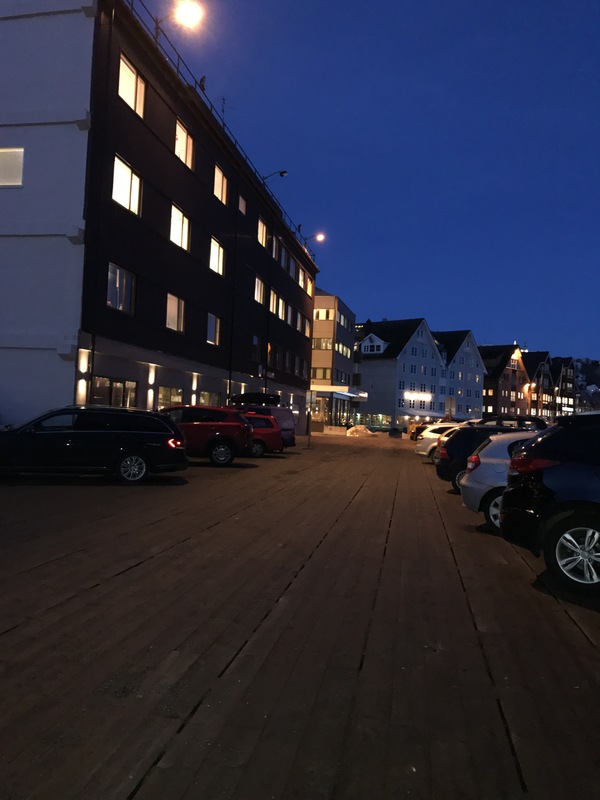 The hotel rate comes with breakfast, dinner, unlimited hot drinks and afternoon waffles which makes it an excellent place considering Norway is so expensive. You have to buy soft and alcoholic drinks which is understandable. 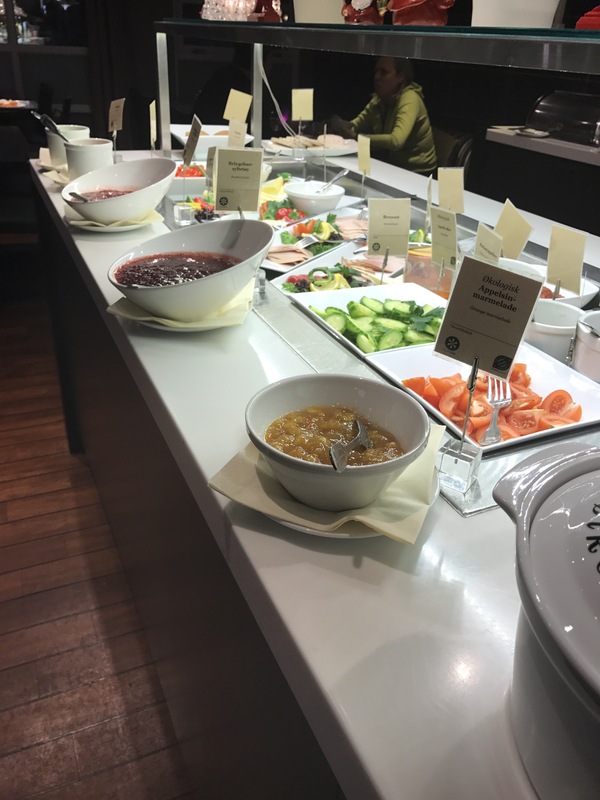 The hotel also offers a good breakfast spread. You get your usual egg and bacon in additional to lots of cold meats, cheese, fruit, yogurt, cereals and a whole variety of bread. You also get free juice with breakfast. The dinner at the hotel is more than a light buffet (as advertised). There was soup, a main hot dish, lots of salad, potatoes and vegetables. 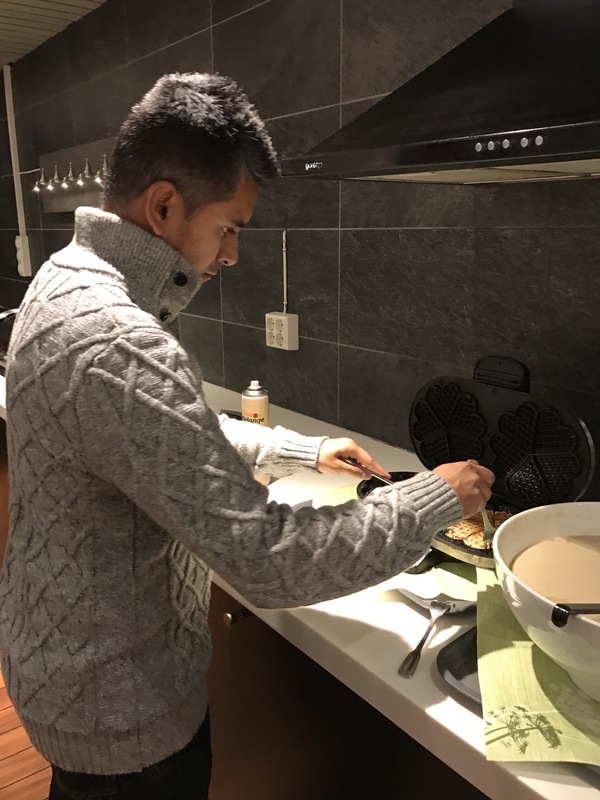 Between 3 and 6pm you can make your own waffles at the hotel. They have a selection of toppings too. This little treat is brilliant with of course the complimentary hot drinks. At the top of the hotel(6th floor) they have a relaxing room which has a glass roof, gym machines, two saunas, changing facilities, showers and an ironing room. This is open to all guests. If the sky’s are clear and aurora forecast is high it would be a perfect indoor place to watch them. There are two entrances/exits to the hotel- both lead you to the centre. The back one, where the Clarion Hotel Aurora is tends to be where tour companies pick you up from. A standard room doesn’t have your normal toiletries or a hair dryer. The hair dryer is available from the reception. What I did like was the heated floor in the bathroom.. nice novelty to have when taking a shower. Based on the room and what is included in the rate I would recommend this hotel. The location is central and near to main locations. The views of the mountains, harbour, wooden cottages are amazing. 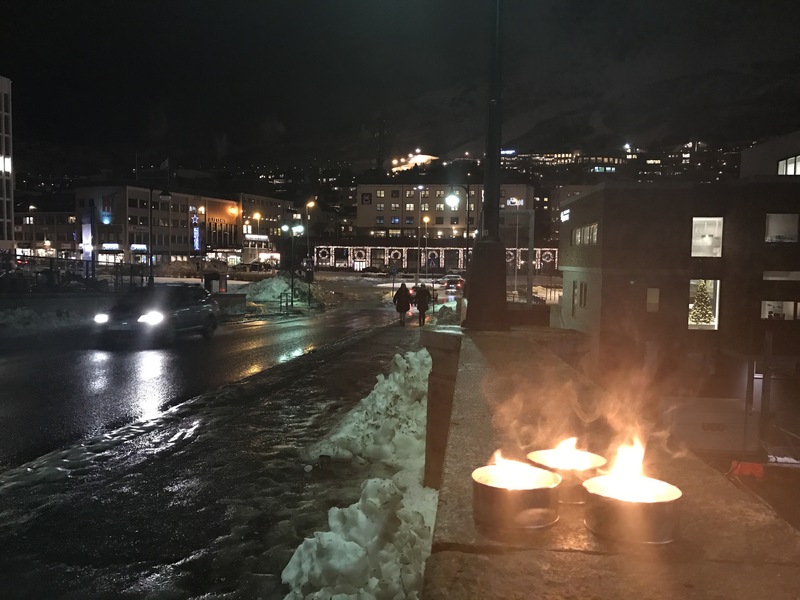 We felt safe through out our stay in Tromsø. 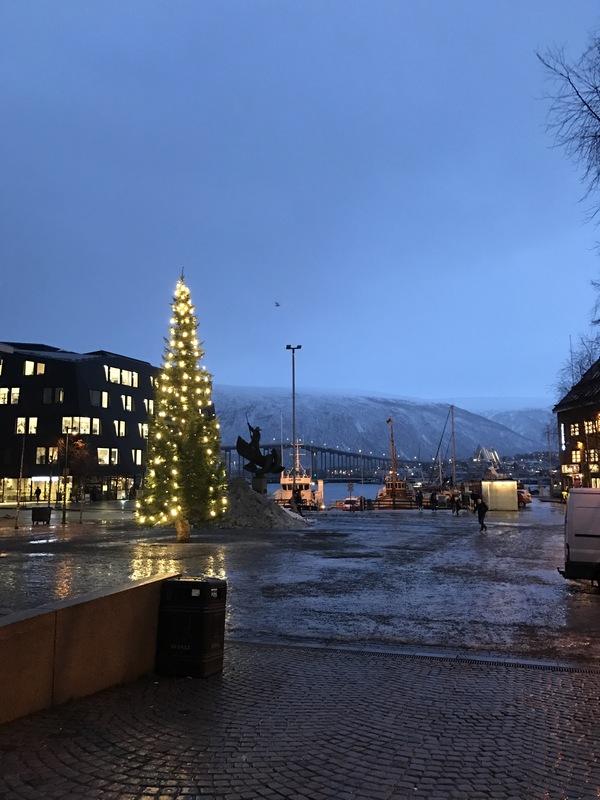 We ventured out to find the tourist information centre and see what else was out in Tromsø. The information centre is a maximum of 10 minutes walk from Clarion Hotel With. On route we saw a few northern light tour companies. 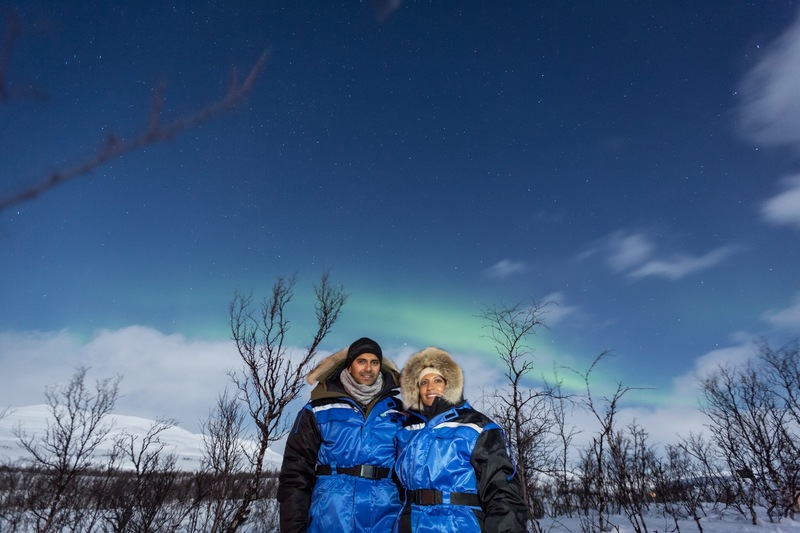 The tourist centre had a lot of Northern Lights Tours too. The staff were helpful. We also went looking for somewhere to eat King Crab because they have a lot of it in the sea. We asked about the crab at the tourist office and she confirmed this time of the year wasn’t great for King Crab because all the Christmas menus were out. She gave us the name of two restaurants that served it. We asked for King Crab and the staff member said they don’t have it fresh. It’s frozen because of its size, the Norwegian laws and the price of the crab( I was expecting it to be much cheaper because apparently they had a great amount of them in the sea). This little starter was £26. The meat was much fleshier and tasted more like crab stick. It may be the way it was cooked. 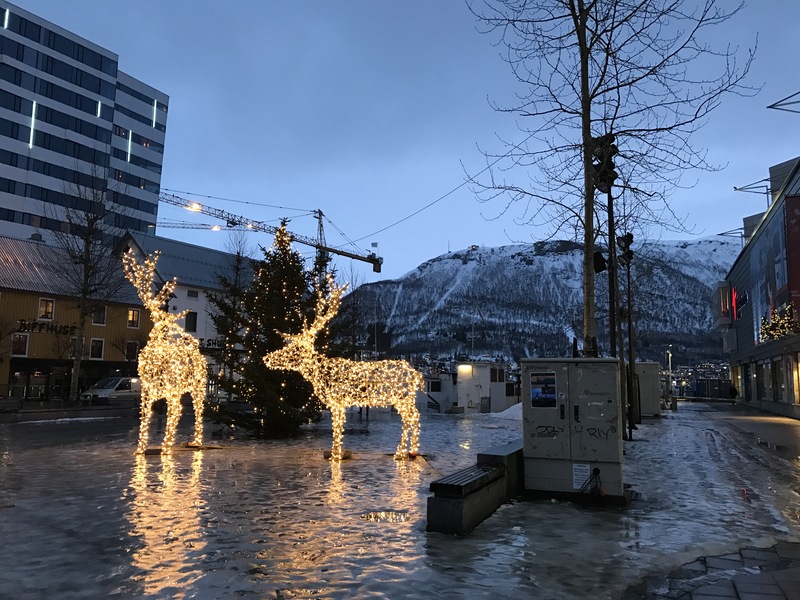 The shopping in Tromsø was average – nothing special. Just ordinary shops which seemed expensive to us however that’s Norway for you. There was not a lot of Christmas lights around; I was expecting it to be a bit more festive. 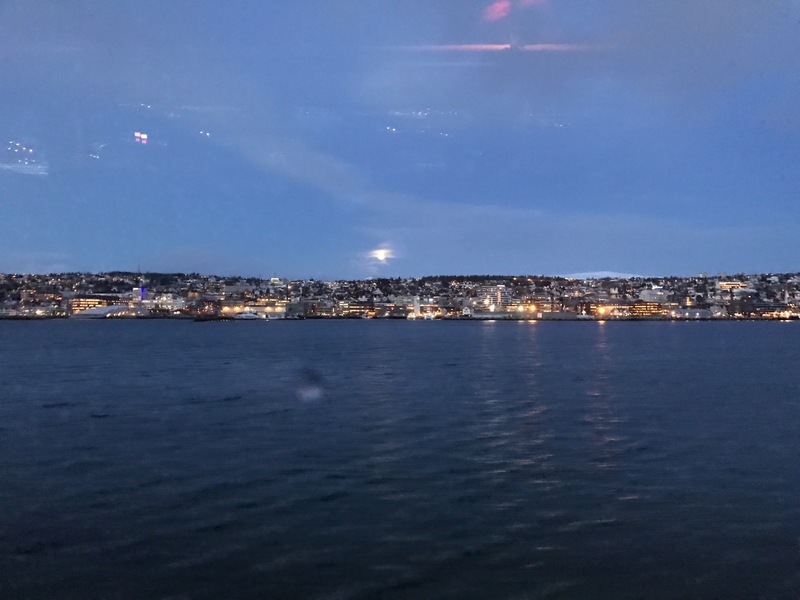 When in Tromsø I felt that there was not that much to do and see unless you went on tours. Whale watching and Northern Lights tours were the big ones advertised. If I was to go back in the summer I would try the King Crab fishing trip cause that looked great. 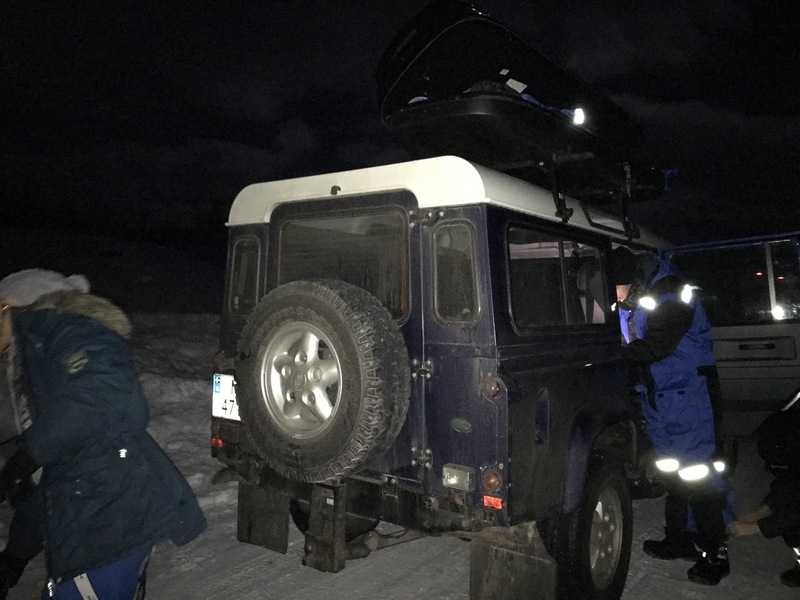 We had booked a northern lights tour with Wandering Owl however got a text on the day saying they were cancelling it due to dangerous conditions and low chances of seeing the lights. I rung up a couple of other companies and they said they were still going however the weather was better the next day. The companies did say that Wandering Owl was a good company and they were surprised they cancelled. I guess companies do not guarantee seeing the lights so unless the roads are really bad they would still carry out the tour. The tour was great and we were one of the lucky people to see the lights considering the weather had been overcast and there was low activity. The tour companies tend to provide appropriate footwear and thermal suits. 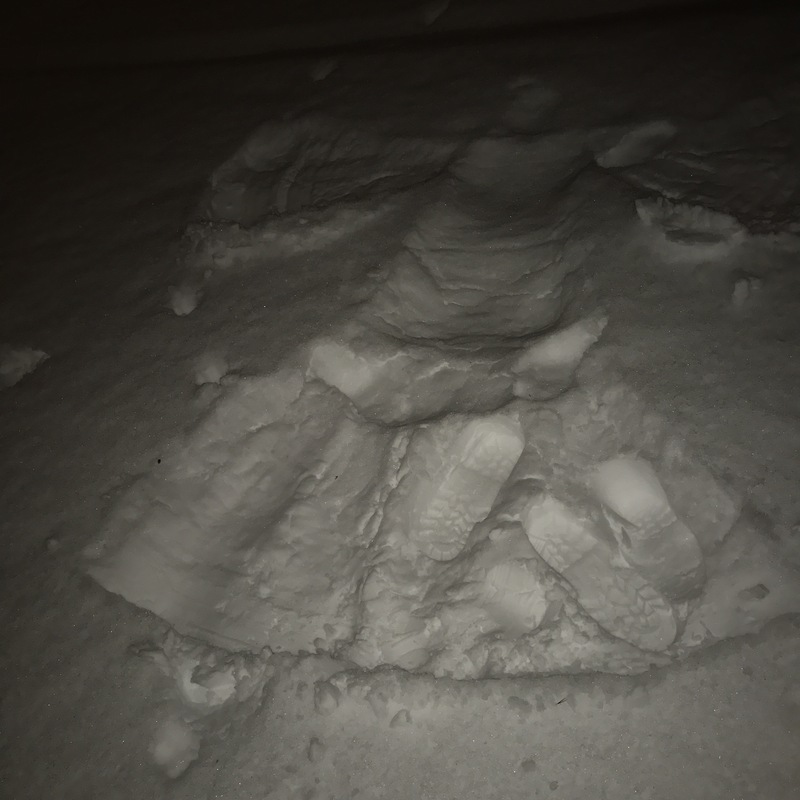 Even though you may not need the suits it’s worth getting them to roll around in the snow and to avoid the smell of smoke from the fire on your clothes. Most of the tour guides have professional cameras to take pictures which is always a bonus when you don’t have an SLR. Also they know what they are doing. Our tour guide Kerttu took us towards Finland where we stopped, set up cameras, played with lots of snow, drank tea and hot chocolate and ate healthy homemade snacks while waiting for some light activity. She looked at the forecast and thought it would be a good time to move to Finland. We drove up to the border, parked up and started our hunt again. The skies were clear and watching the shooting stars and trying to worth out what’s what was amazing on its own. Kerttu set up the cameras, started a quick fire and gave us all a flask of warm filling vegetable soup. 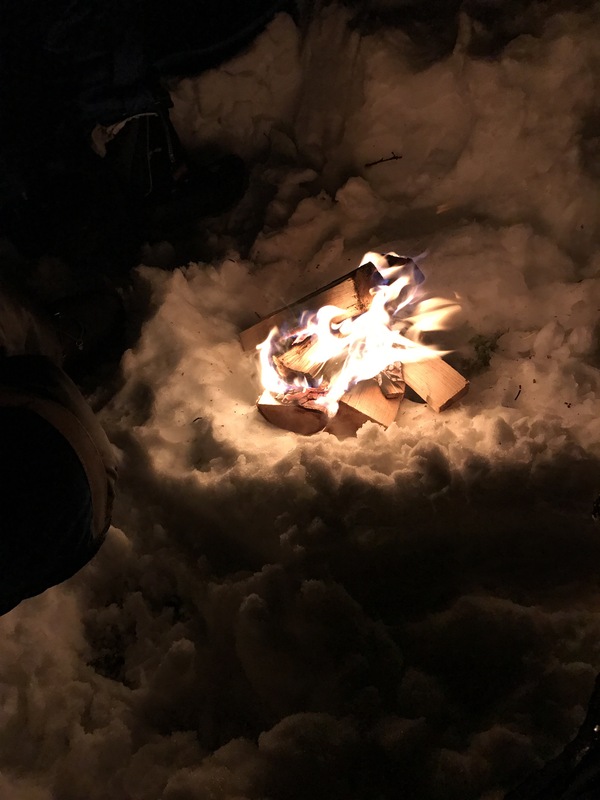 After this we toasted some marshmallows. Through out Kerttu was checking her camera and keeping and eye on any activity. In the middle of eating our marshmallows she spotted some aurora activity. She took photos of us with the lights as soon as she could which was great cause the activity only lasted three minutes. It was amazing. The SLR’s have better focus and can capture the lights much better than we can see them so it’s always worth getting a professional photo done. The tour guides tend to email them over to you in a couple of days. The tour was long; we left our hotel just after 6 and didn’t get back until 230am- it was worth it for the whole experience and I would highly recommend Greenlanders. TIP: They always advice to layer up and we had bought merino wool layers from Mountain Warehouse and TKMaxx that kept us warm. Also you should not have a shower before going out in the cold for tours – something to do with the moisture. 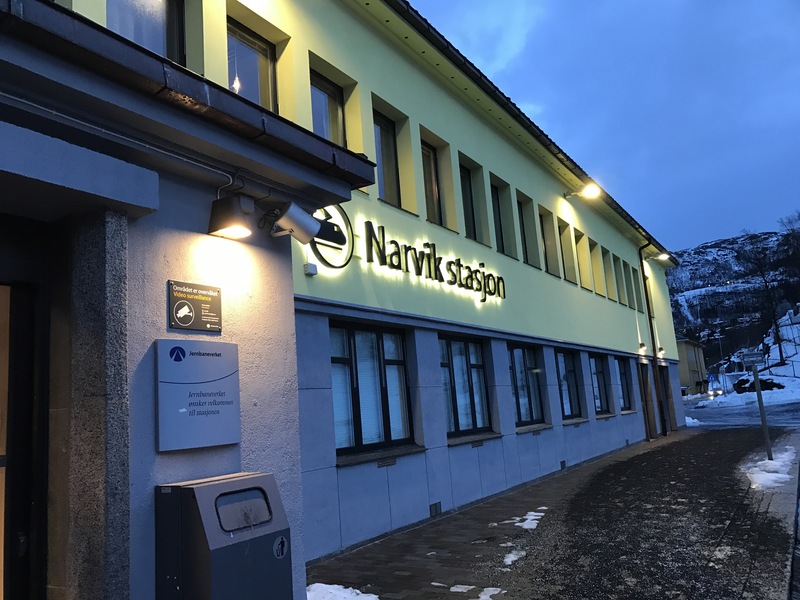 As part of the package you get provided with a voucher for a bus journey to Narvik from the Tromsø visiter centre. The bus runs at 6am, 10am and 4pm on weekdays and it is recommended you get there 20 minutes before because the bus gets filled up pretty quickly. It is your responsibility to put your suitcase in the storage compartments. The bus drivers are not that helpful. We got the 10 am one and arrived in Narvik at 230 pm so it was a long ride. There was a 5 minute break at midday. The bus has toilet facilities. I would advise taking drinks and snacks on board because there was not any being sold and also the 5 minute break was not long enough to buy anything. The scenes from the bus were so picturesque. The mountains were covered in snow and it was beautiful. 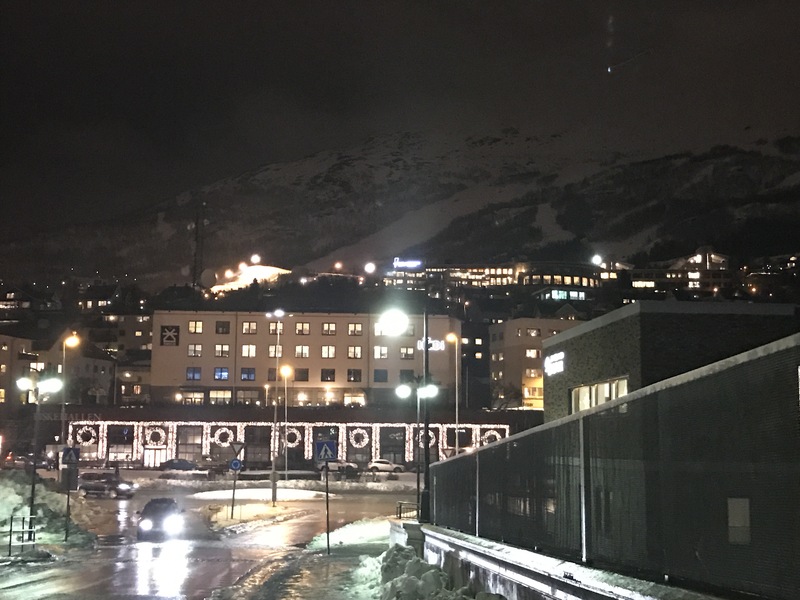 As we were approaching Narvik town centre I asked the bus driver if he would stop at the Scandic Hotel because this is what the tour operator said would happen. Also there is a bus stop right outside be hotel. The bus driver said he would not be stopping there and we would get off at the final stop. There was black ice around and it took us about 15 minutes to walk and drag our luggage uphill to the hotel. This was miscommunication from the tour company and I have given the the feedback accordingly. The hotel was clean and looked great. It was also easy to spot from far. Staff were friendly. We had no problems checking in and had a room with a reasonable view. 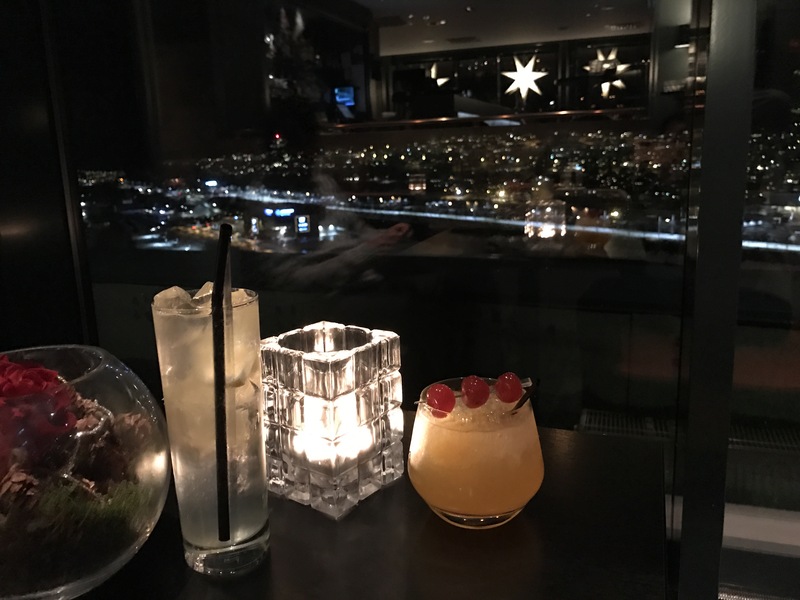 Th hotel has a sky bar and we went there for a drink. It was cosy and the views were amazing. A cocktail was around £12 but it was worth it. There is a little outdoor section too. 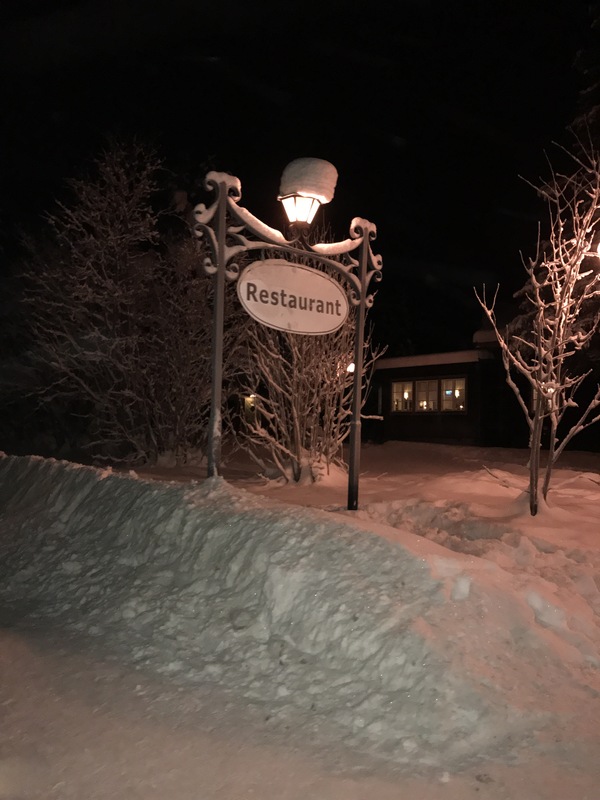 We had a look at the restaurant menu at the hotel but decided to have a walk around the town and grab a bite to eat there. We had a comfortable night sleep. The room had hair dryer, hand wash and an all in one shower gel dispenser. The bathroom had a heated floor which was lovely when having a shower. The next morning breakfast was until 1030. The spread was amazing. 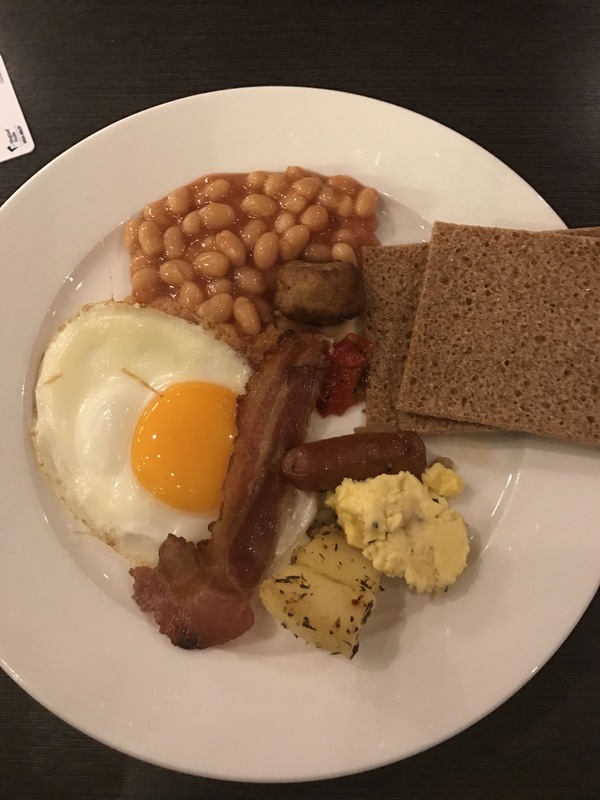 We had the normal English breakfast items as well as a range of fish, cake, pastries and even caviar! 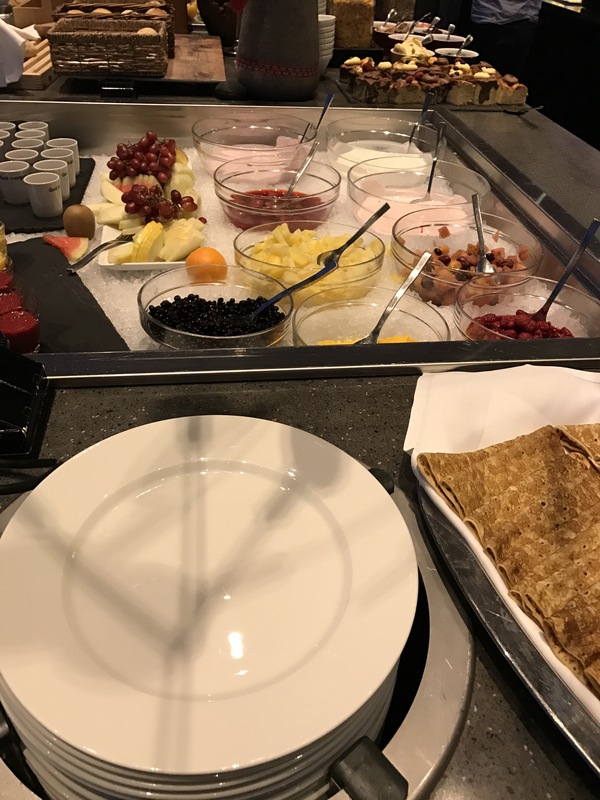 I almost feel like the Norwegians have breakfast like Kings! We paced ourselves so we could fill up well before our train journey to Kiruna. 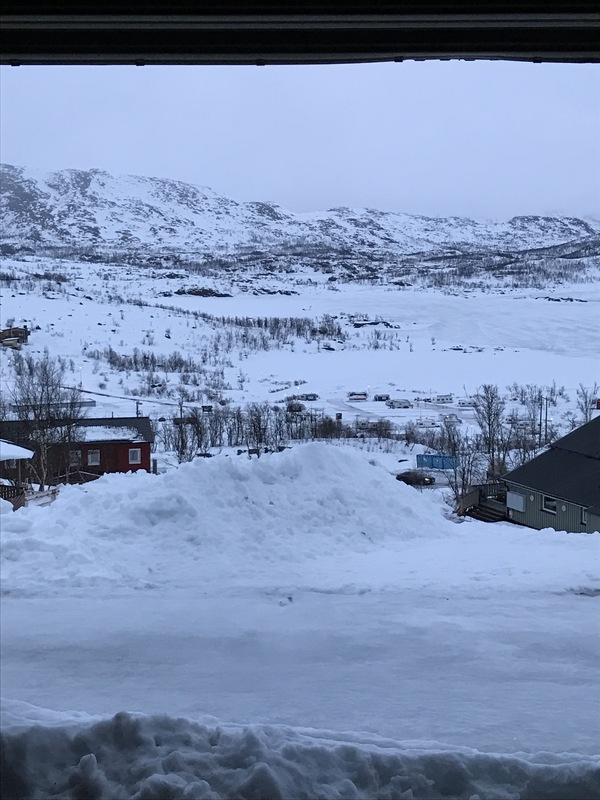 I would recommend this as a hotel to stay at when in Narvik. 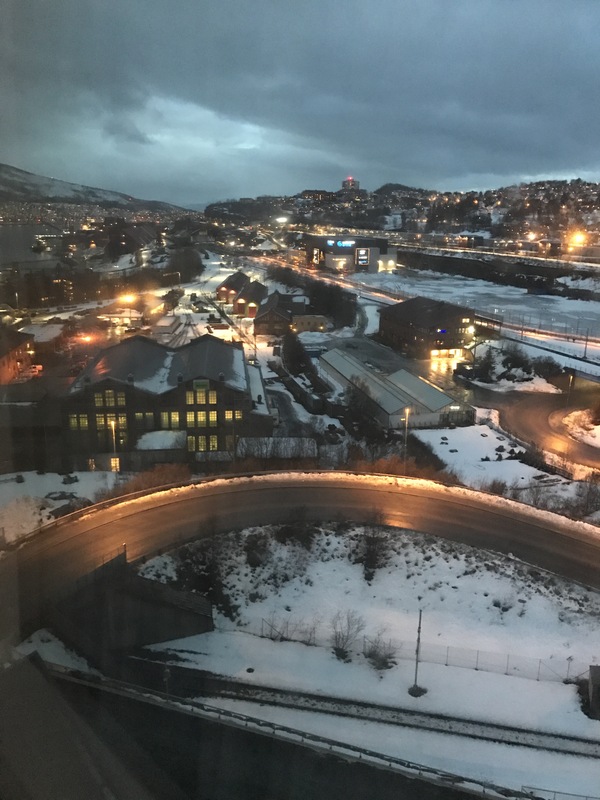 I found Narvik was more lively than Tromsø. The streets were lit with candles (I am not sure if this was because it was late night shopping) and it was busier. The shopping centres offered a wide range of clothes and home stores however as with Tromsø the prices were expensive. I had a £4.50 latte which was okay and we tried Pepe’s pizza for dinner which wasn’t too bad. A small pizza( six slices) was about £16. Nordic experience said all travel was included as part of our tour and if it wasn’t the walk was about five minutes. 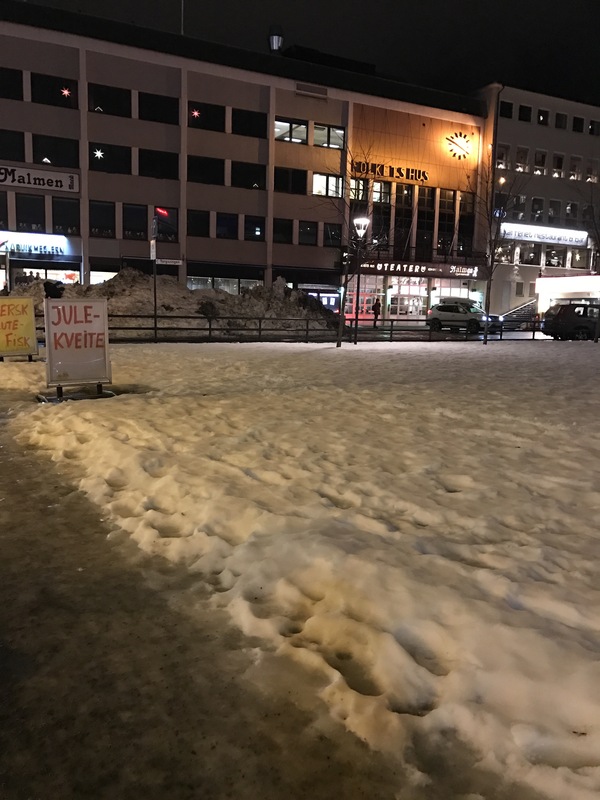 We figured out very soon when we went for a walk in the evening that the train station was up hill and quite impossible to walk to with suitcases and black ice. We ordered a taxi from the hotel and this cost us 135NOK so almost £13 for a 10 minutes journey. The station is small and we got there at 1045. We were told by the tour company that only 1 train runs a day (at 11) but the board at the station said there was one just after 3pm. We had allocated seats however they were on the right of the train and all the reviews said to sit on the left. The train was empty at that point so we sat on the left. 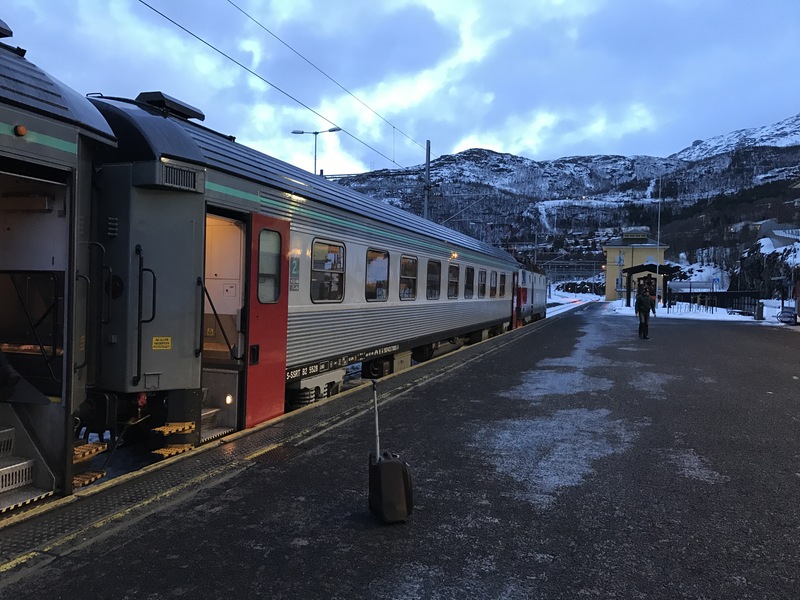 The journey was three hours and at Abisko (one of the stops) the train filled up. Luckily we were able to keep our seats. 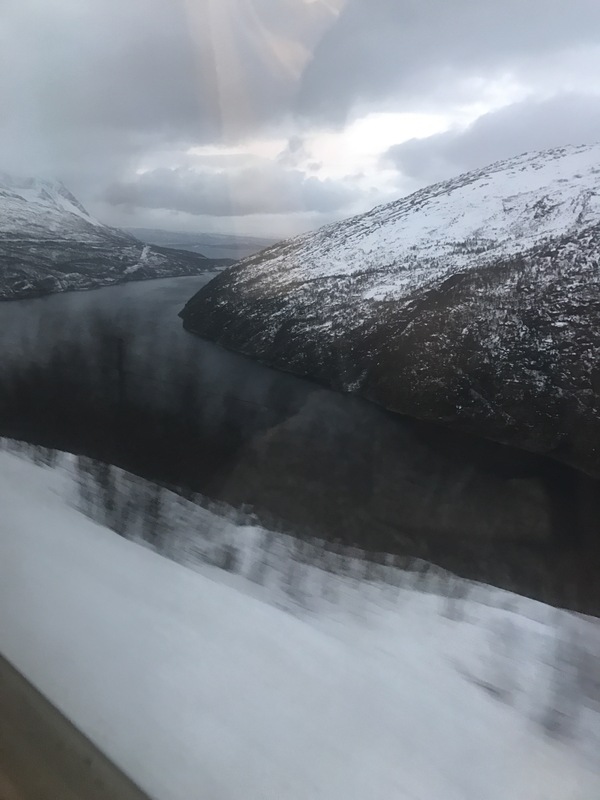 The journey was scenic and we managed to catch a glimpse of the Fjords however I was expecting a more magical journey based on how they advertised this route. 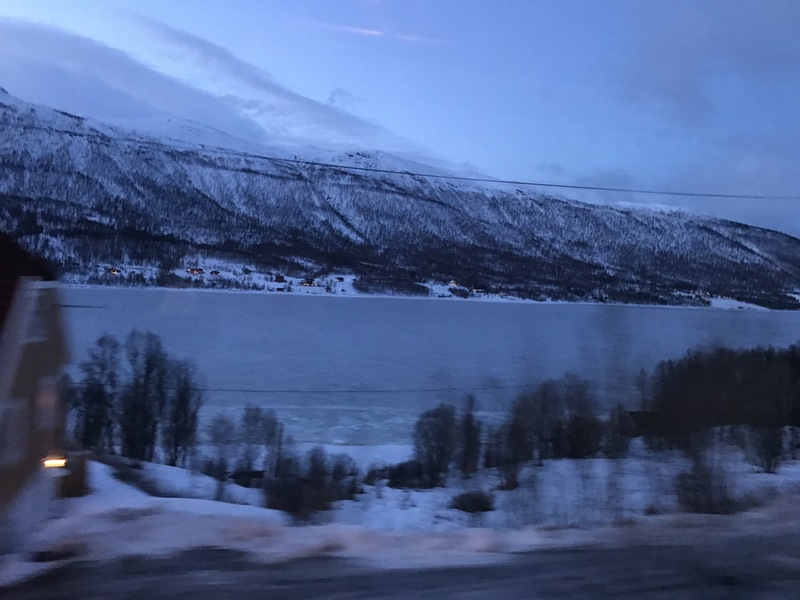 We may have been slightly disappointed because the bus journey from Tromso to Narvik was scenic too. Nevertheless it was a lovely journey and the views were very Christmassy. Not sure how it would be without the snow. We got to Kiruna on time and our taxi was there. 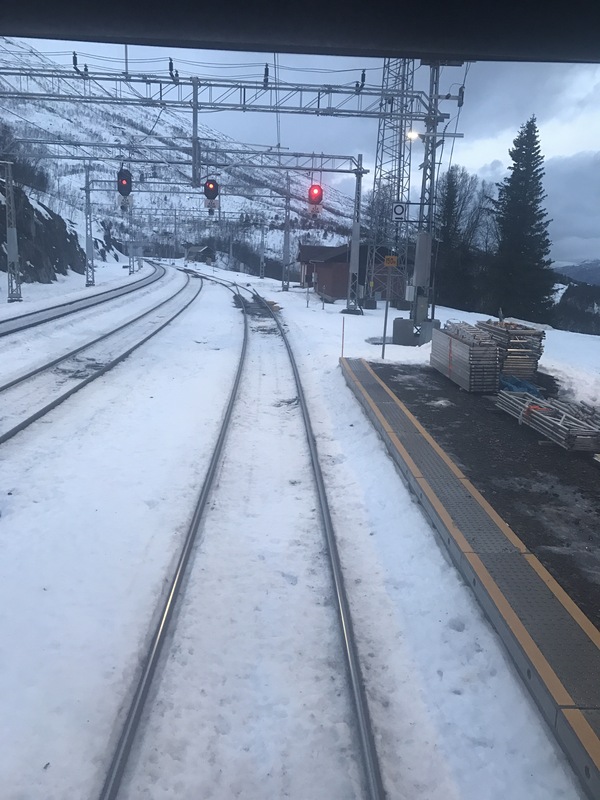 The station was filled with snow and you could see a ski slope from it. Just magical and fascinating how the snow is part of their life and nothing comes to a stand still (unlike back home). 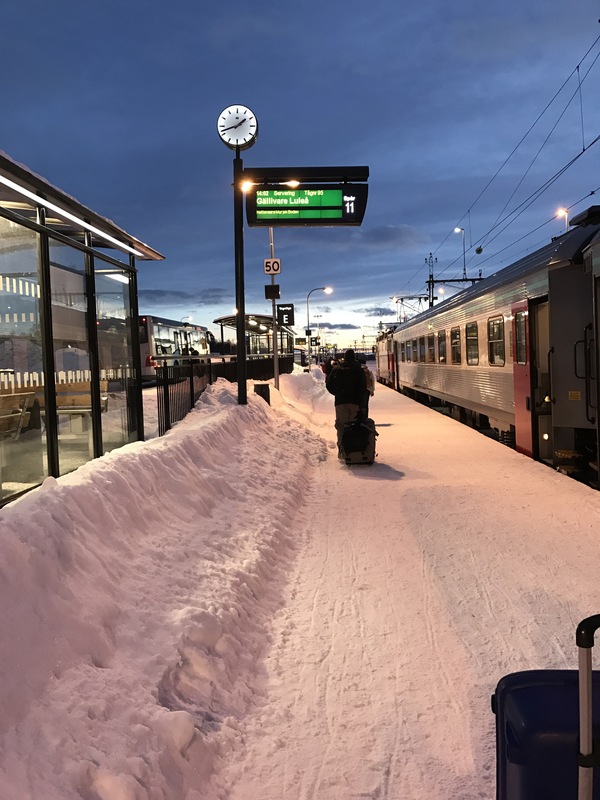 Kiruna is small station and though you may not know where your taxi is, you will eventually find it. Nordic experience had given us a voucher for the taxi to the ice hotel- it would have cost about £30-40 otherwise. The journey from the train station to the ice hotel was beautiful. All the trees were covered in snow. It took about 15 minutes. We arrived at the hotel and were dropped off by the reception. 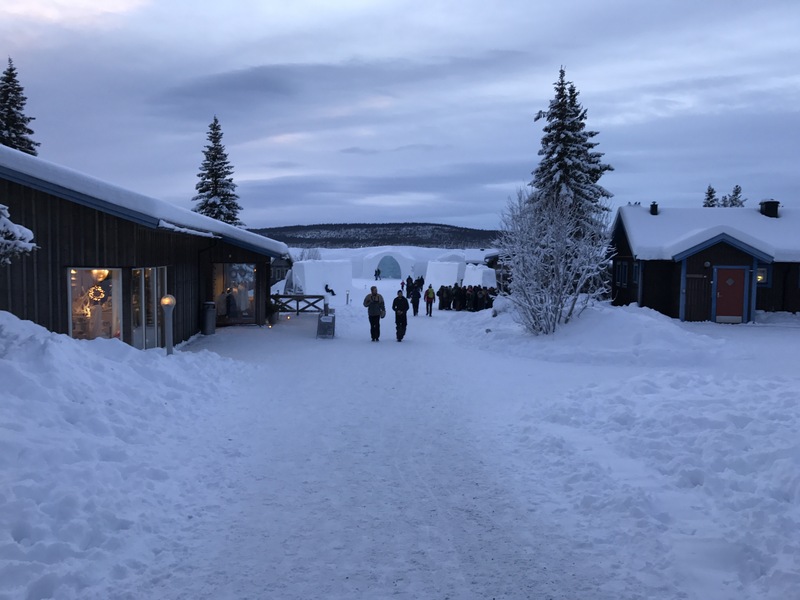 The staff were a bit less efficient and took ages to find us before telling us to walk down to to dressing room of the main ice hotel. It was dark and it would have been nice to be guided there. Anyway the minute walk was mesmerising! We were just taken back at how beautiful it all was. We got to the dressing room and staff here were not that efficient either. Took them ages to check us in and explain all the details (easily 25 minutes). We were excited and just wanted to see and ask all these questions however the staff member who gave us a quick briefing was less enthusiastic. I didn’t feel they appreciated how much guests were paying for the stay and how excited they were. We were handed locker keys where we stored our items for the day/night until we checked out. It was small and had a bench to sit on. Not big enough to open two big suitcases though. We were offered snow shoes and suits. There was also guided tour at 430pm and an overnight talk for those staying in the cold room at 530pm. I would highly recommend going to both of them because they were very informative. As guests you had access to all areas so once we checked in and locked our luggage we had a wander around. The art suites were amazing – we looked at each one of them. Our package included an Art suite. 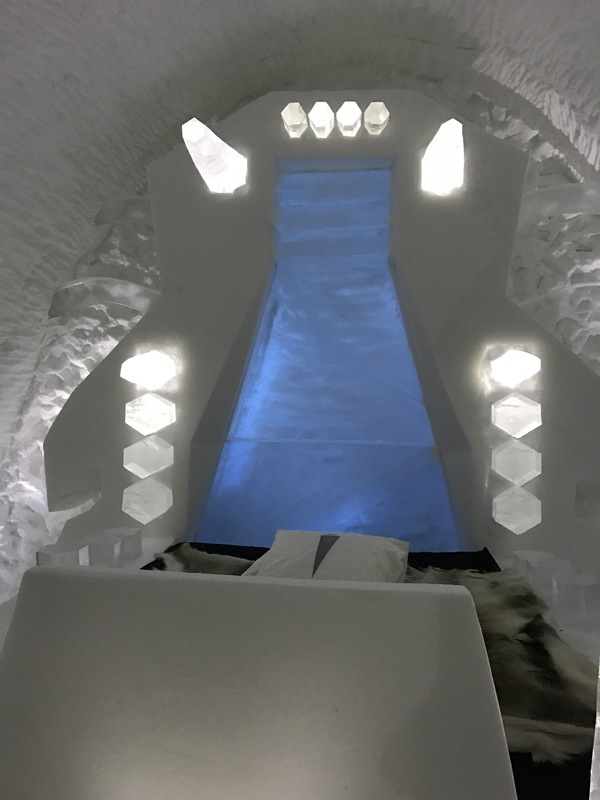 You can get a normal cold room which is decorated by the ice hotel builders and it is cheaper but not sure how much. They are reasonably ok – they just don’t have the wow factor once you see the Art Suites. 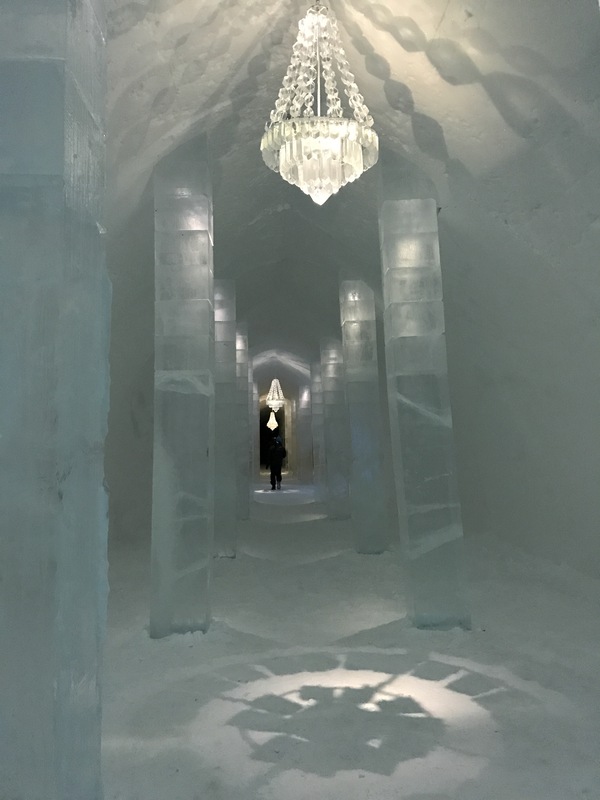 To start with the ‘hallway’ was beautifully set up with ice lampshades. We were allocated Room 209 which was called the Cats Craddle. We were talking to other guests who were either just visiting and those that were staying and two of them turned out to be the artists who actually carved the room. They were telling us about how they love cats hence the room decor. This made it very special for them and us. Once we looked at the rooms it was time for tour. This gave us a bit of history about the Hotel. 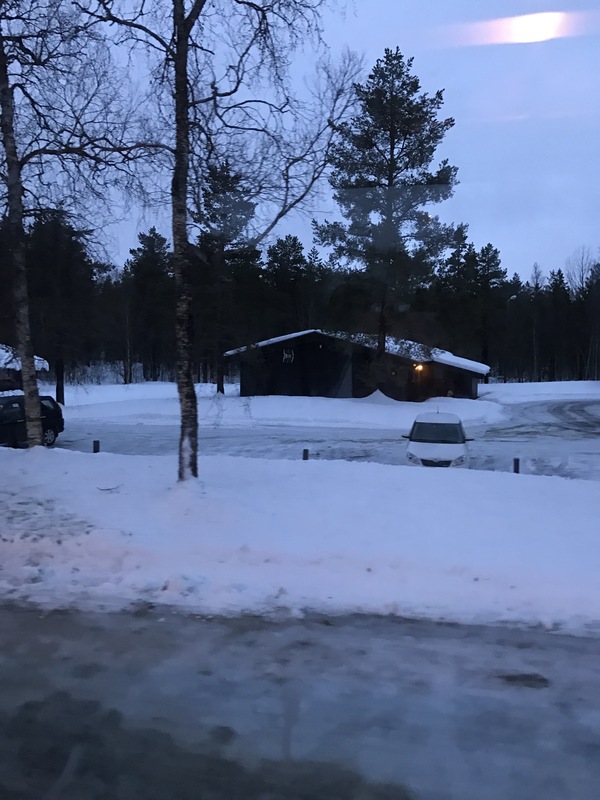 It was interesting to know that the hotel is built from the ice they collect the season before. Also more interesting to know how much ice/ ice sculptures they export ( even to the ice bar in London) . 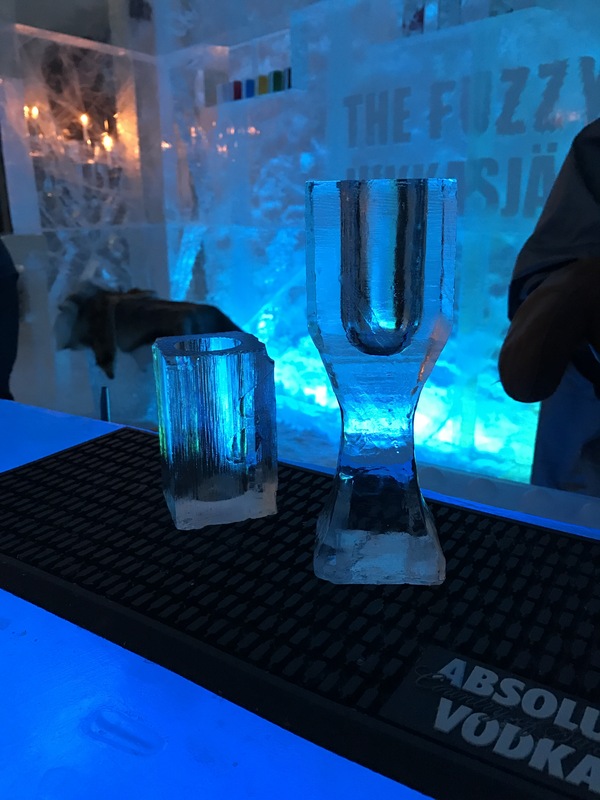 They actually make the ice glasses you get in the London bar there. Their ice is famous because it’s crystal clear. It’s from the lake Torne whih is just by the hotel. 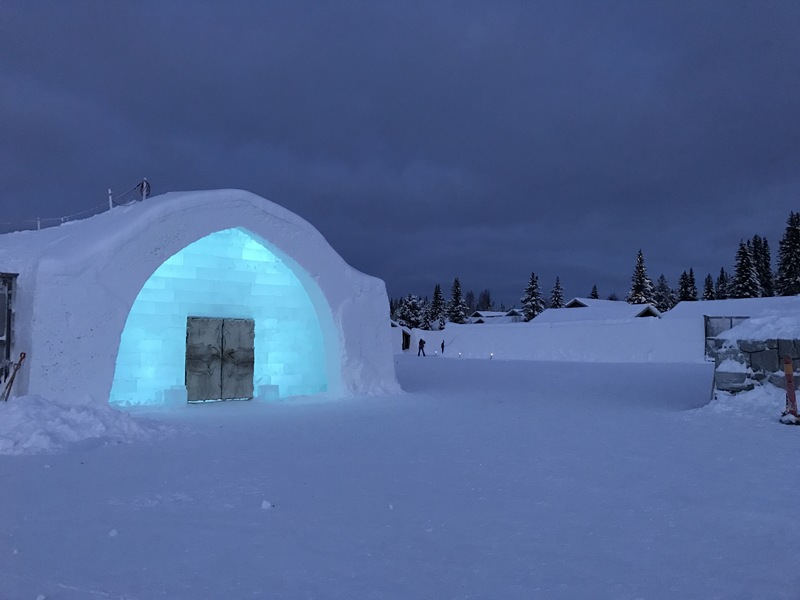 The ice hotel have now opened Ice hotel 365 which they are promoting. 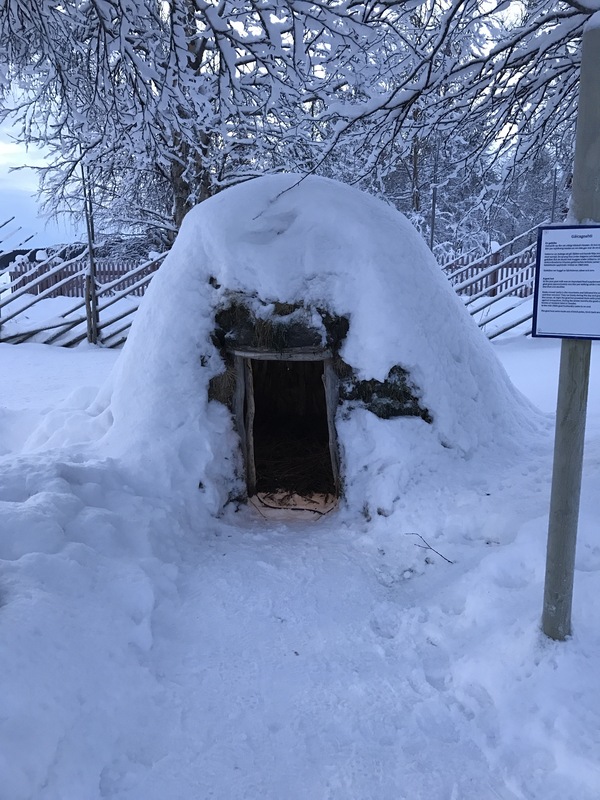 The idea was done so people can stay in the ice hotel all year round. 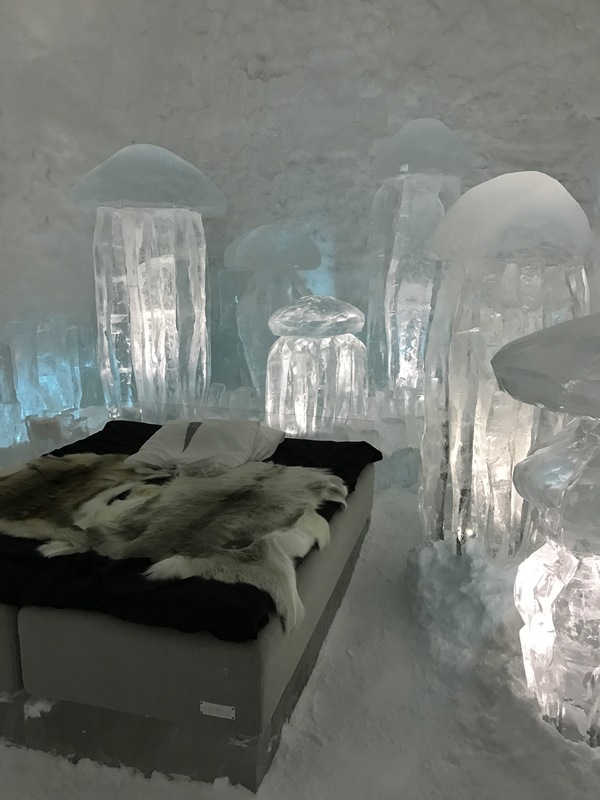 They way they made is was different to the way they made the original ice hotel. Also the 365 one has solar panels which should keep it cool in the summer months. The rooms are just as beautiful but we wanted to stay in the one that gets made and then melts away because it just felt more special. 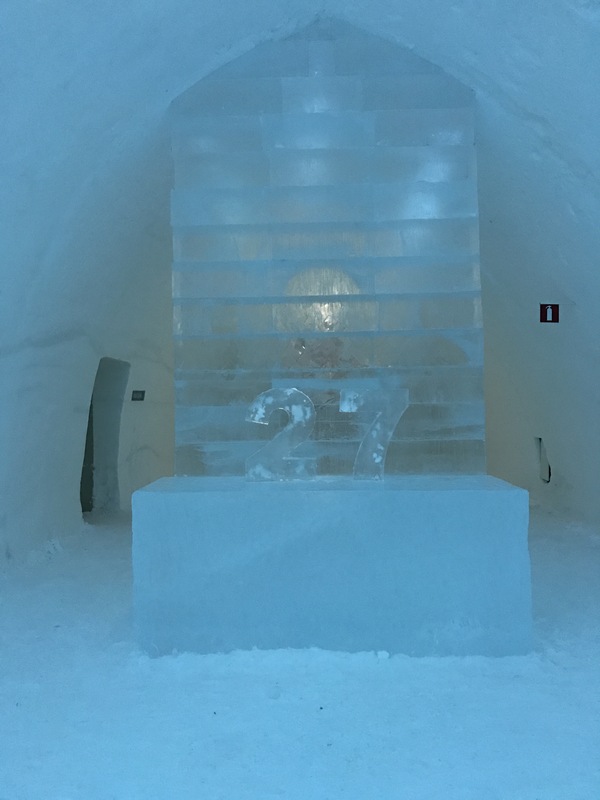 We stayed in the 27th ice hotel! I can’t do the rooms or the surroundings enough justice – all I can say is you have to experience it once in your life. 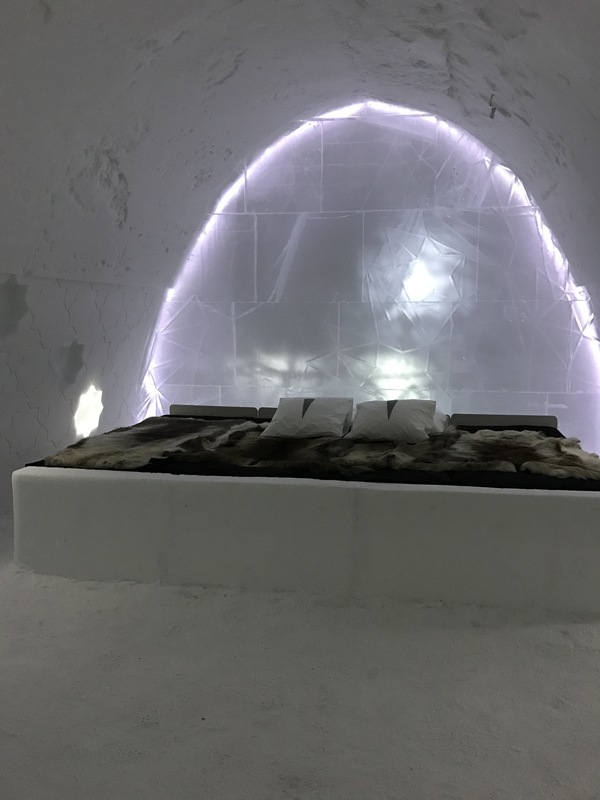 The ice hotel has warm cabins as well which you can stay in if you don’t prefer a cold night- I personally don’t understand why you would stay in a warm room when you travel all the way to see the ice hotel. 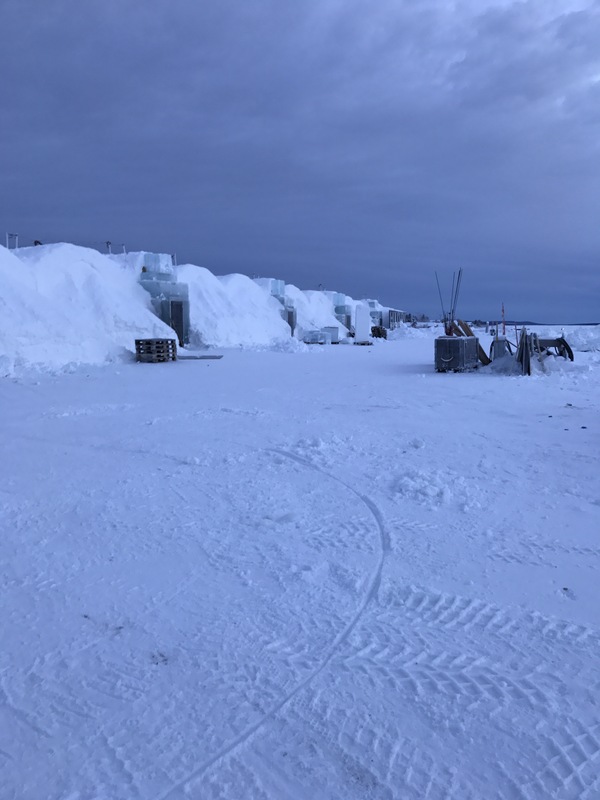 The dressing rooms are shared i.e everyone who stays at the ice hotel has access to them. They are warm and the lockers are safe. There are about four toilets there and two in the changing rooms. The changing rooms have hair drying facilities, a sauna and an all in one shower gel in the cubicles. There is a male and female changing room. Before you go to bed, you collect a sleeping bag and a thin sheet from the reception and walk to your room. The reception is not well staffed so there are queues especially around 1030pm. They recommend warm socks, a hat and two layers however not cotton because sweating can make you cold. Anyway we wore our merino base layers and warm pjs, a pair of socks and a cap. You have your snow boots on because that is the only way you can walk in the hotel. You can take your phone with you and store it in a glove in your sleeping bag. It is pointless taking anything else. The rooms are between -5 and -8. Surprisingly you are warm in the cosy sleeping bags they give you. We woke up every so often with a cold nose and mouth and because we couldn’t get comfortable because your hands are tucked in and your pillow is outside the sleeping bag so you cannot adjust it. The staff tell you to put the pillows outside the bag to avoid it from freezing if you get any tears on it whilst sleeping. I think the other reason is because whilst the hotel is open to guests everyone lays on them and takes photos so technically they are dirty and so is the actual bed. I feel these should be changed or laid on after outside guests stop visiting (after 6pm). Each room has a curtain door. Surprisingly the ice rooms are sound proof and you cannot hear anyone walking past or in the room next to you. At 745am we were woken up and given some warm lingonberry juice. It was delicious. We carried the sleeping bag and belongings and went to the dressing rooms. We handed in the bags, got our change of clothes and went to the changing rooms. The women changing facilities are basic and could be better maintained. The toilets had no toilet roll or were blocked and there was just a basic all in one shower gel in the cubicles. The sauna was nice and there are plenty of towels. It was around 930pm and we checked out. There was again a really long queue which was irritating cause we just wanted to go for breakfast. They stored our luggage and told us it would be ready for us at the main reception in time for our transport back to the airport. Breakfast and Dinner are served at the restaurant which is across the road. The restaurant looks very pretty from outside and is nice and cosy inside. We had dinner at the main restaurant. There is another one called Old Hampstead and that is about 10 minutes walk from the hotel. 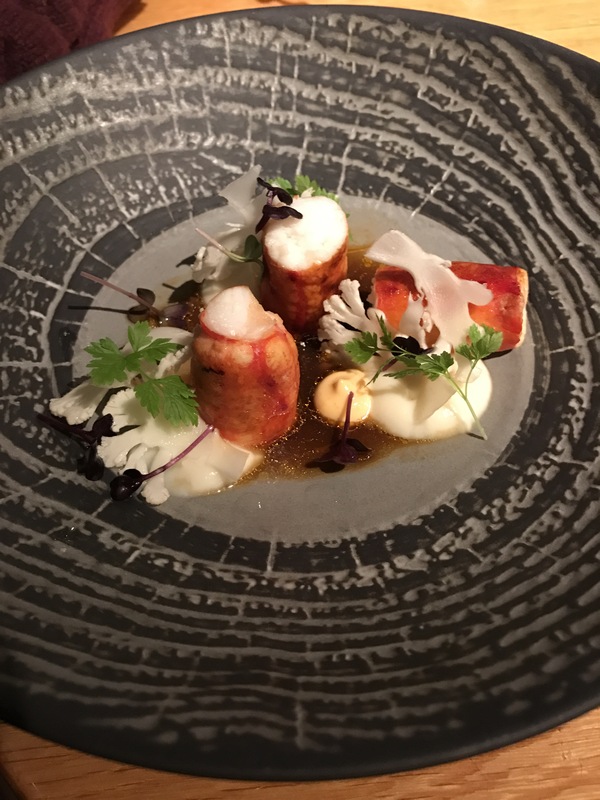 The food is really nicely plated and the meal was enjoyable but again expensive. 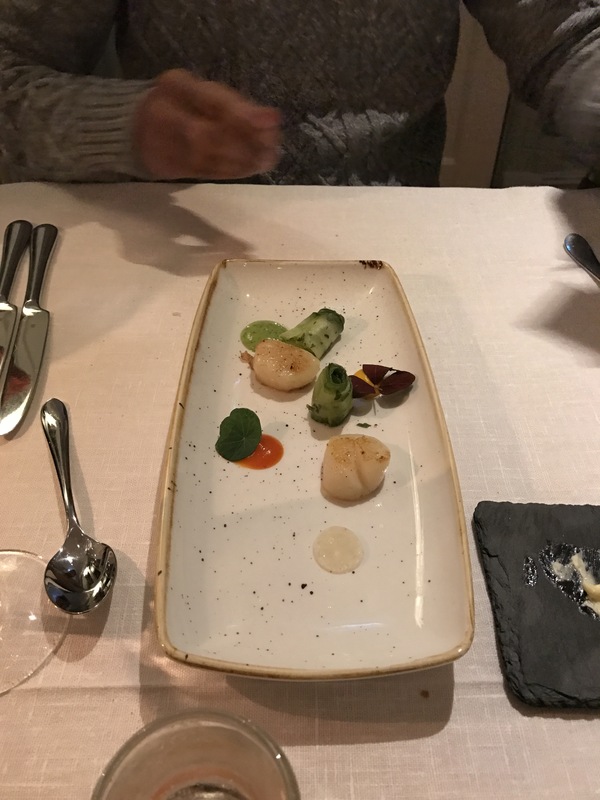 A scallop starter is about £20 and you get 2 scallops. Anyway we had a good meal. You go get a good selection of complimentary bread and the chef comes and checks up on you which makes the dinner personal. We had breakfast at the same restaurant. There were queues and no tables were available and staff wouldn’t open the additional seating. This was around 945. The hot breakfast queue was long and they kept running out of items and took ages to replace them. It was obvious everyone was getting annoyed with this. The breakfast was average. I was expecting a lot more and at least some sort of twist. There is a warm lounge next to the main reception where we had a drink. There was a great buzz the night we were there because it was the launch of the Torne Beer 2. Our flight was at 245 and transport was arranged by the hotel for 135pm. 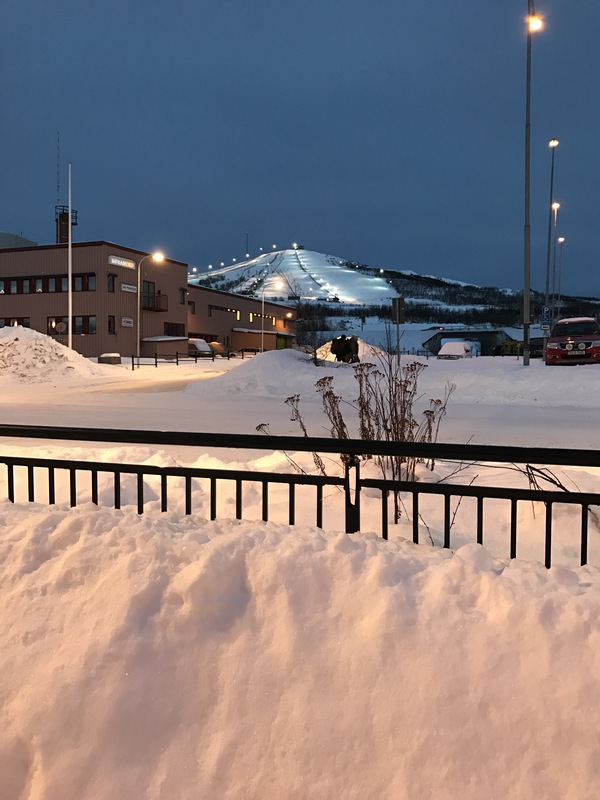 This is because the Kiruna airport is small and only 15 minutes away from the hotel. Nordic experience had said our transport back was at 12noon and had we known this was not the case we would have booked an activity in the morning before our flight because many of them finish between 12 and 1pm. 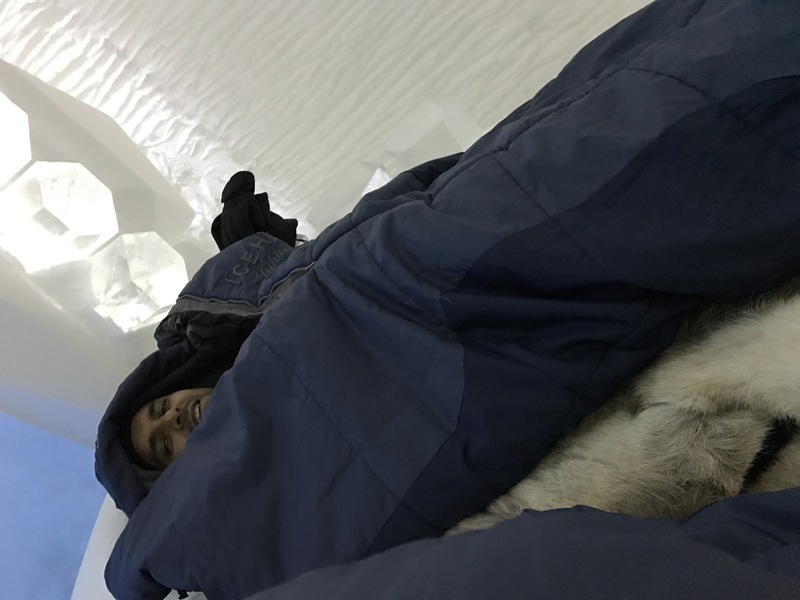 Overall I would recommend staying a night at the ice hotel. The history behind it and the making of it is mesmerising. Also the rooms and the surroundings are beautiful. It’s a shame the service is below average and the changing room and toilet facilities and not great. I guess if you can, it’s probably worth upgrading to a suite. 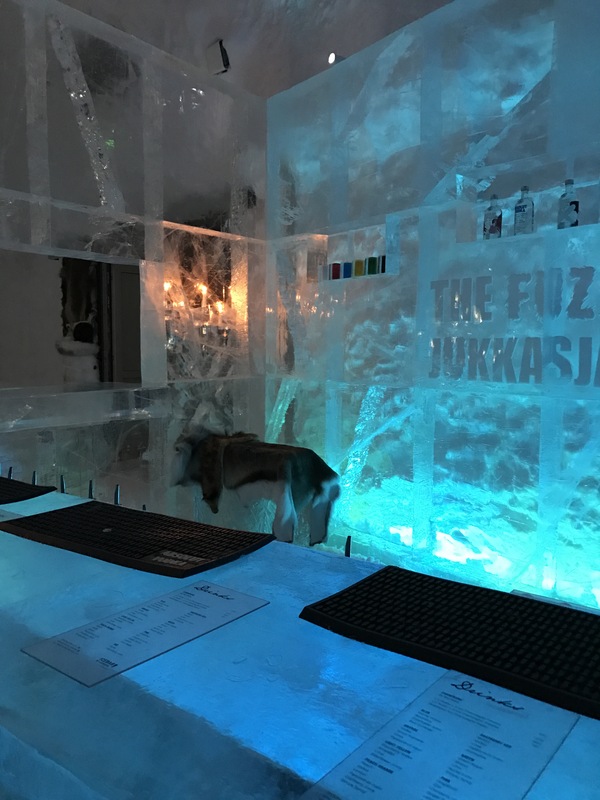 As with our stay in Norway, unless you sit at the bar drinking the whole evening, there is not a lot to do at the Ice Hotel so you have to book activities. 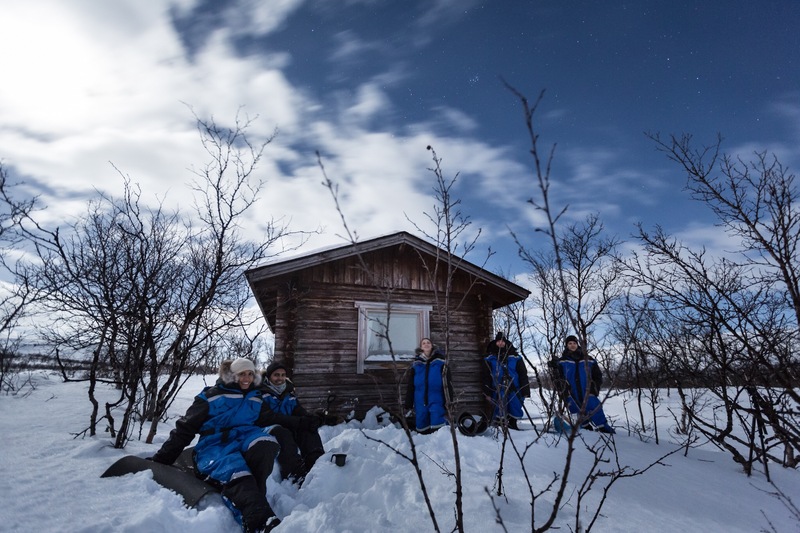 We booked a Northern lights Husky ride with Husky Tours Lapland. There was great communication from the team and I could book online which made it easier than messing about with cash on the day. The driver picked us up just after 6 and it was about 20 mins drive from the hotel to the kennels. The driver was informative and when we got there we were greeted by two other staff members. One of them took us to a room to put on overalls and hand us thick gloves. 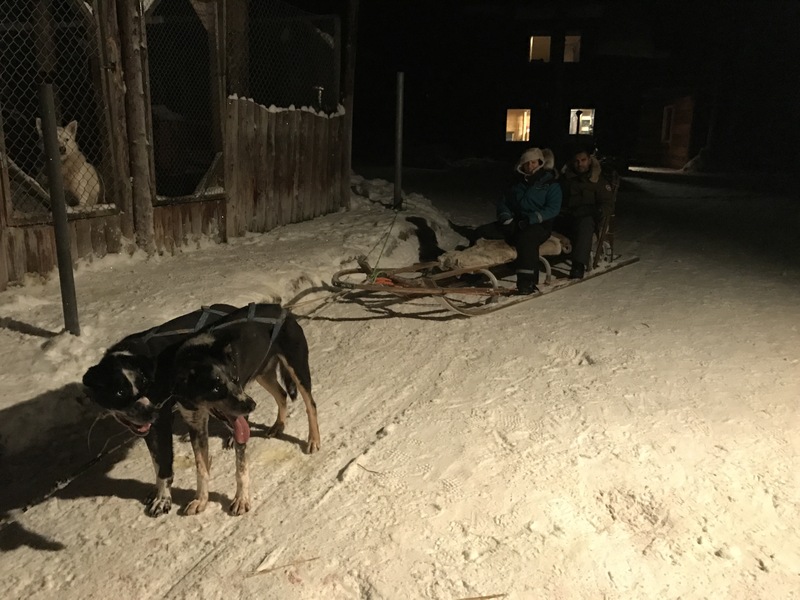 The husky’s were being put together for us and when we got changed we were encouraged to pet them by the staff member who was taking us out on the ride. They were all barking because they wanted to go out for a run. The dogs are friendly however I was expecting furry big Husky’s; this is not the case because the huskys that they use for sledging are mixed breed (this is the same for all companies). They use their dogs here for racing too. 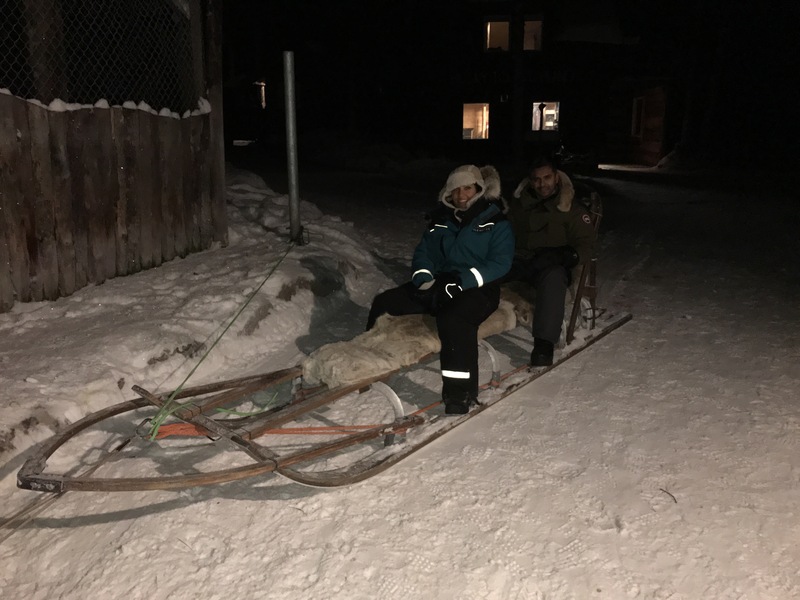 There were four of us sitting on the sledge, a guide and 11 dogs. The journey was beautiful. Though it was dark there was light from the head torch and the snow reflected light too. 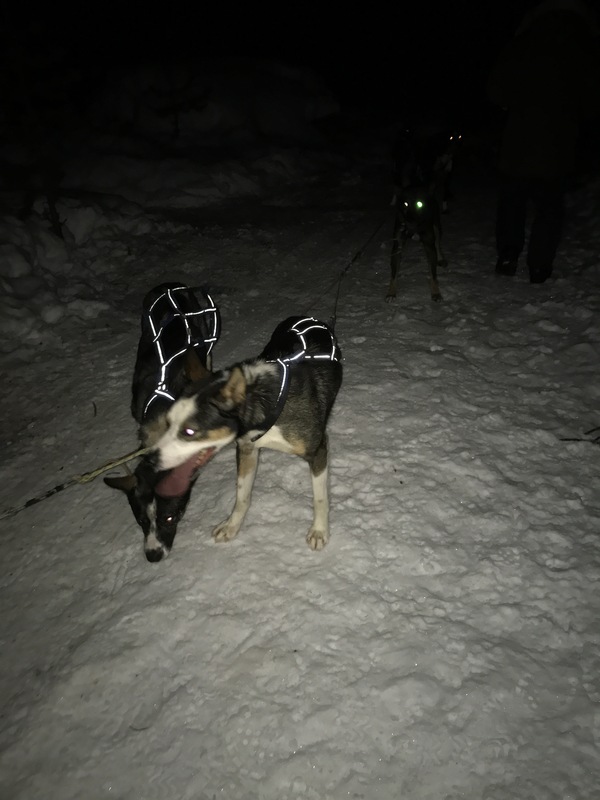 The dogs were well trained and knew where to go. The dogs poo whilst running which is unexpected. We were no sure what the smell was to start with and the guide told us. We didn’t see any northern lights but it didn’t matter. Half way through the journey we stopped at a teepee and the guide asked us to talk to the dogs and say ‘good job’ whilst he lit the fire. We went in and had tea and pastries. The ride lasted for a good amount of time and we got back to the hotel just after 9pm. 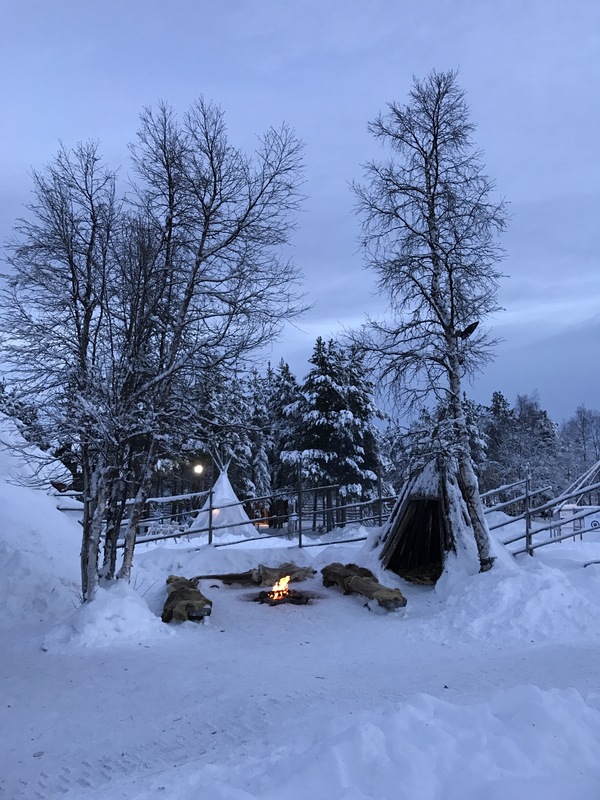 About 15 minute walk from the hotel there is a Sami camp. 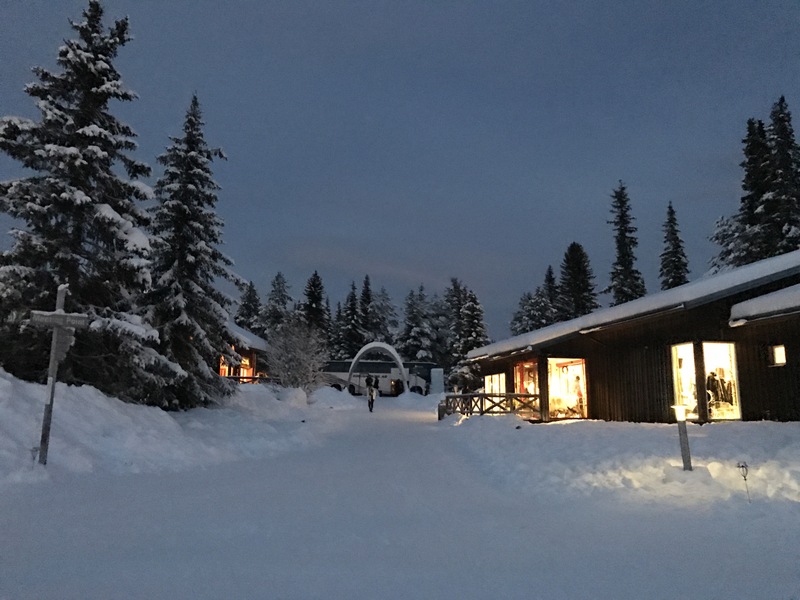 The camp is a great place to visit and has interesting facts about the Sami’s. It’s also a museum so you can see the different teepees they had. There is a small entrance fee. The reception also sells reindeer food and gives you the appropriate information. 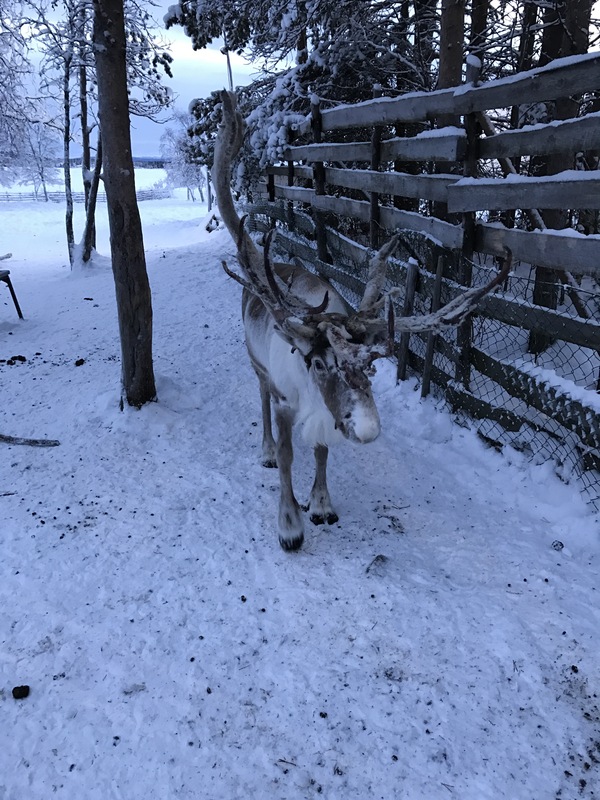 The reindeers were a pleasure to feed. You are allowed in the enclosed areas and can walk around them too. The journey back from Kiruna to London was via Stockholm. Kiruna airport was very small with one cafe. 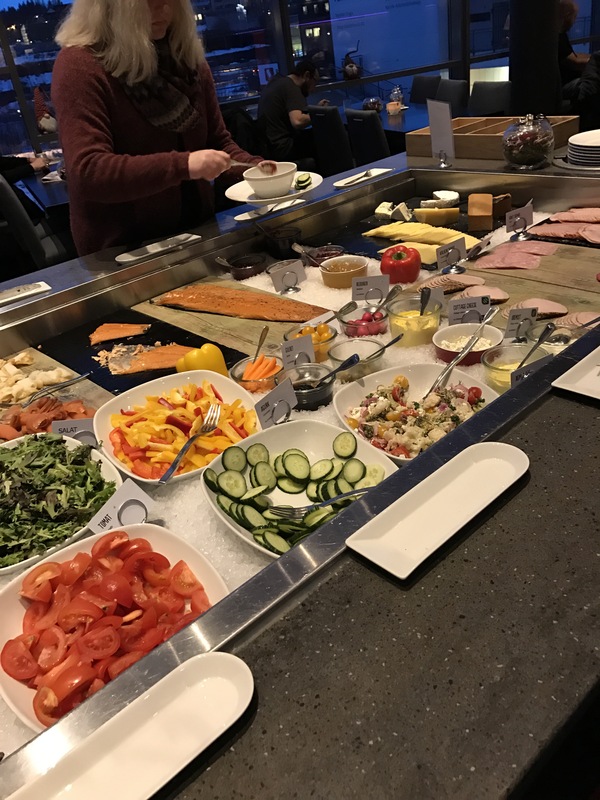 Stockholm airport food was expensive. London flights were from Terminal 5 and food here started at £11 for a sandwich. We did see McDonald’s and other burger places on the way to the Terminal so it may be worth getting food before making your way to T5. The trip was worth it. It was a nice time to visit and made it very Christmassy.